Personal and custom – why do we love those words so much? Sometimes it is the little touches that we do for people that make the biggest difference. These adorable, stamped, personal, and custom stamped spoons make your table setting…well…special. Just like the people around the table right? 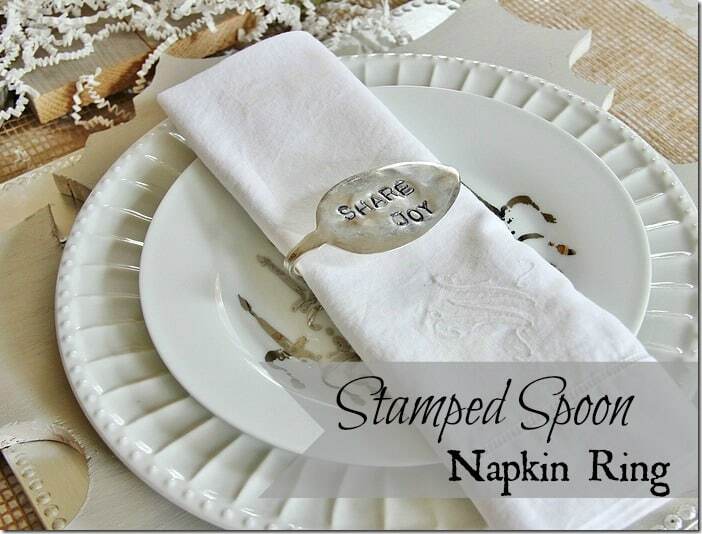 Welcome Karianne as she shows up to make these stamped spoon napkin rings.